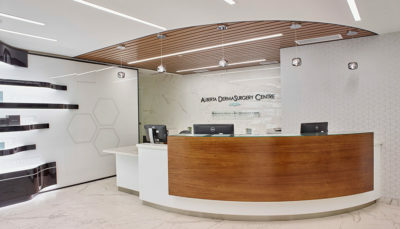 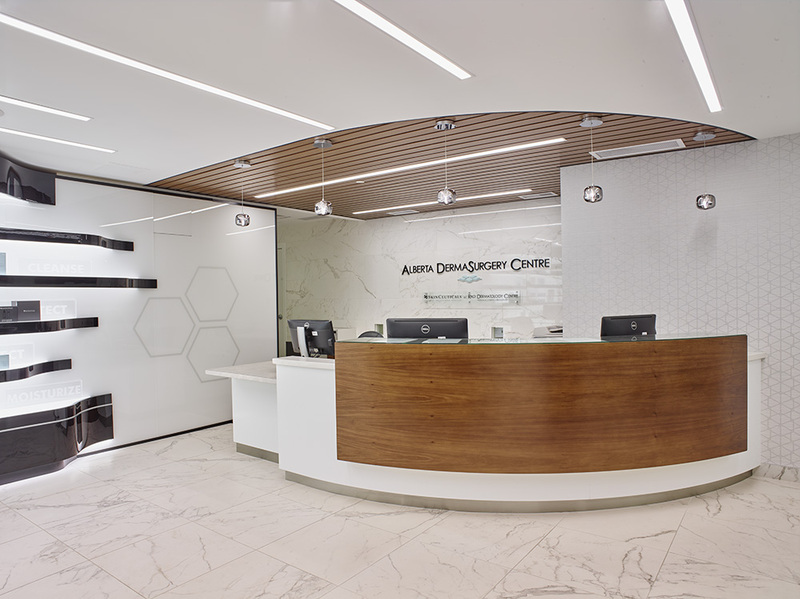 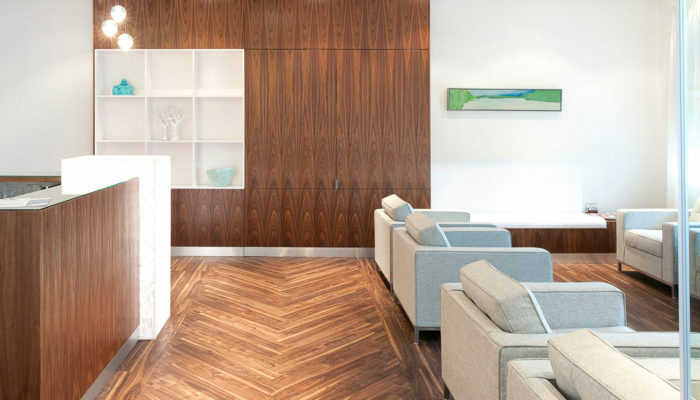 Alberta Dermasurgery Centre (Rao Dermatology) : Wolski Design Group Ltd. 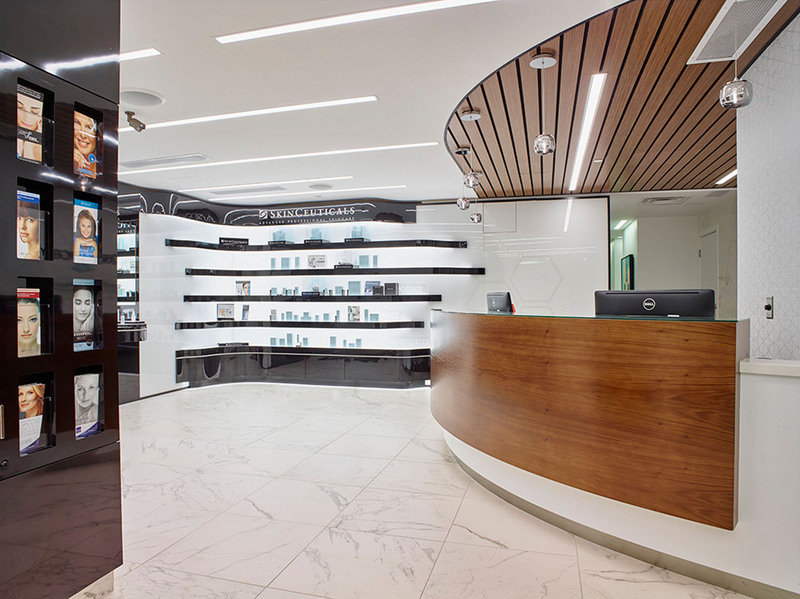 This dermatology centre’s refined design leaves a lasting impression. 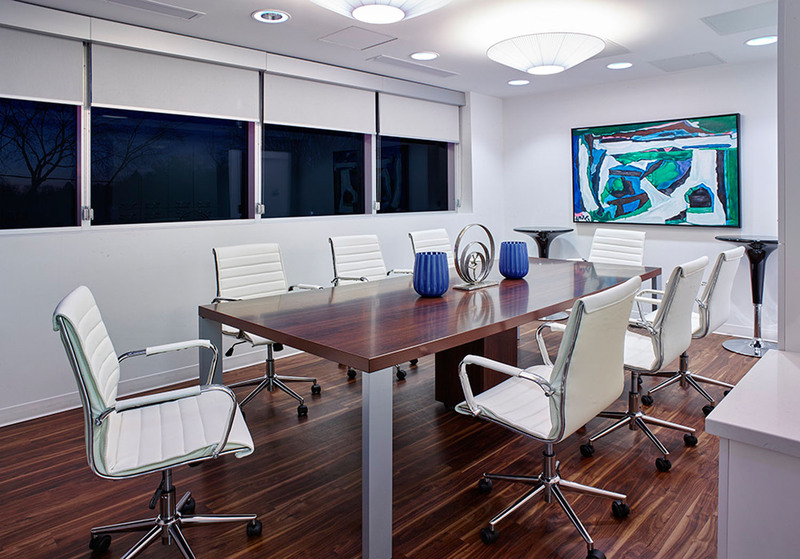 Natural light pours in from the windows, creating a bright and airy ambiance. 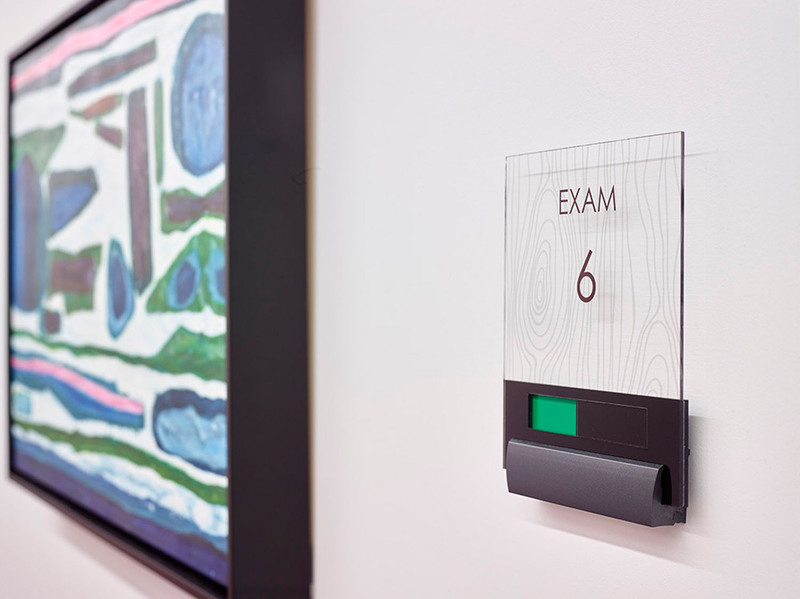 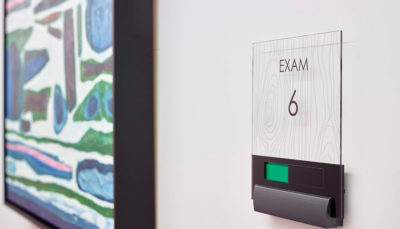 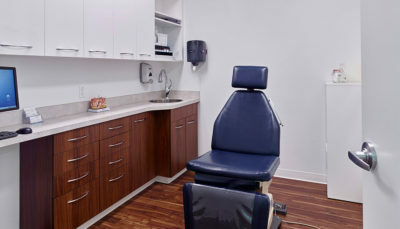 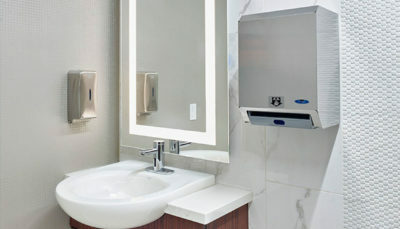 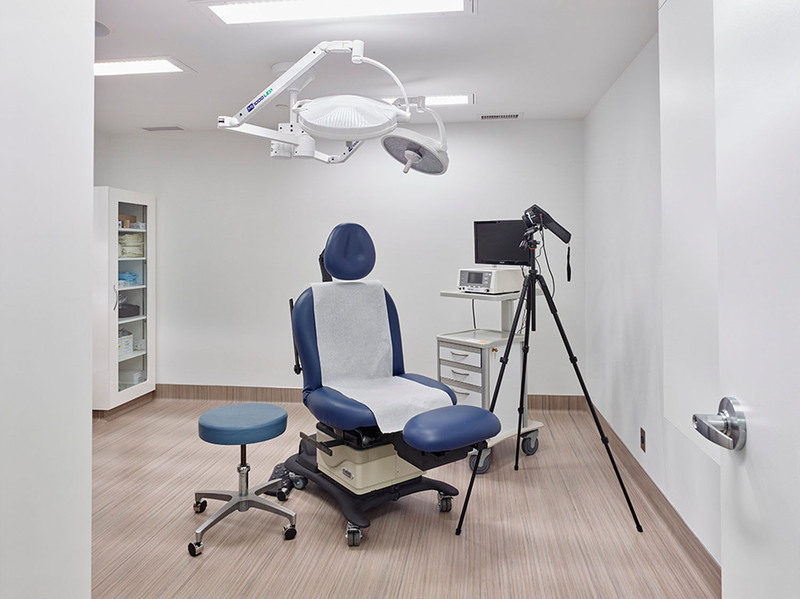 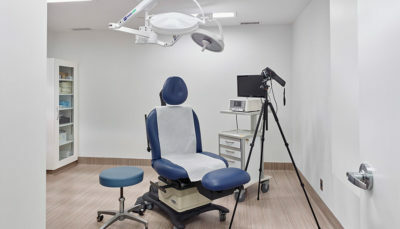 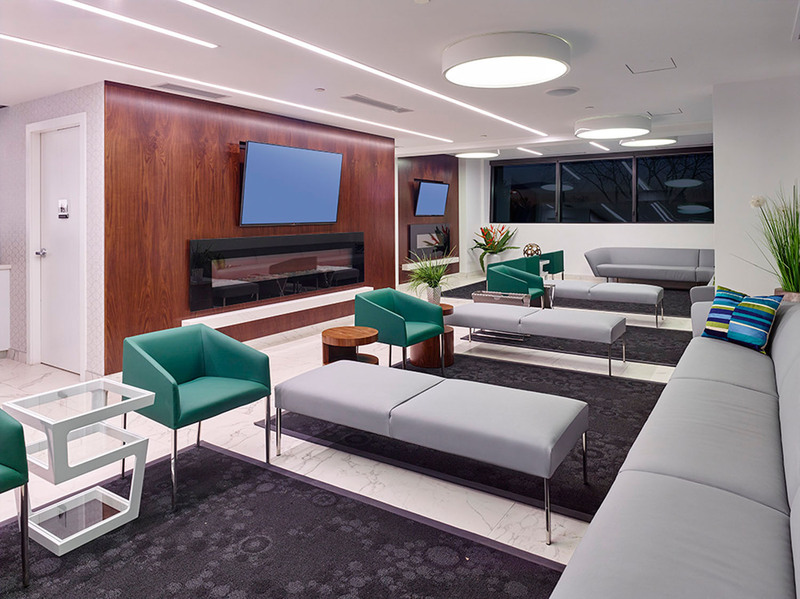 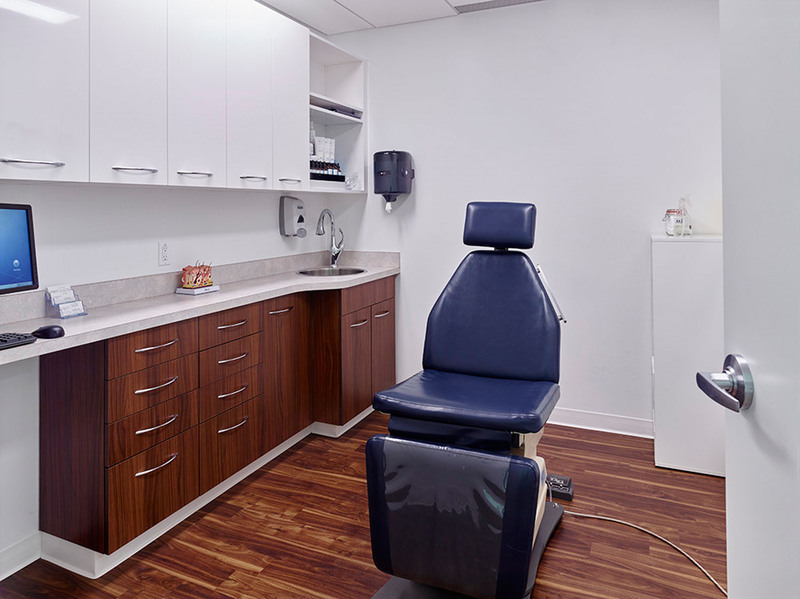 Since this practice has a non-hospital surgical facility (NHSF) designation, thoughtfully chosen materials and finishes adhere to strict medical regulations. 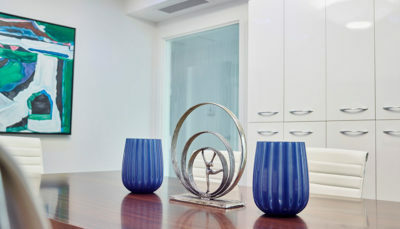 Stylish and clean accessories lend a mid-century modern meets contemporary vibe. 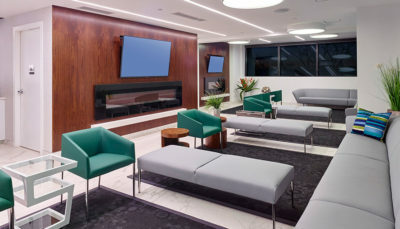 A large waiting room breaks into three sections: a refreshments bar, brochure area and makeup table. 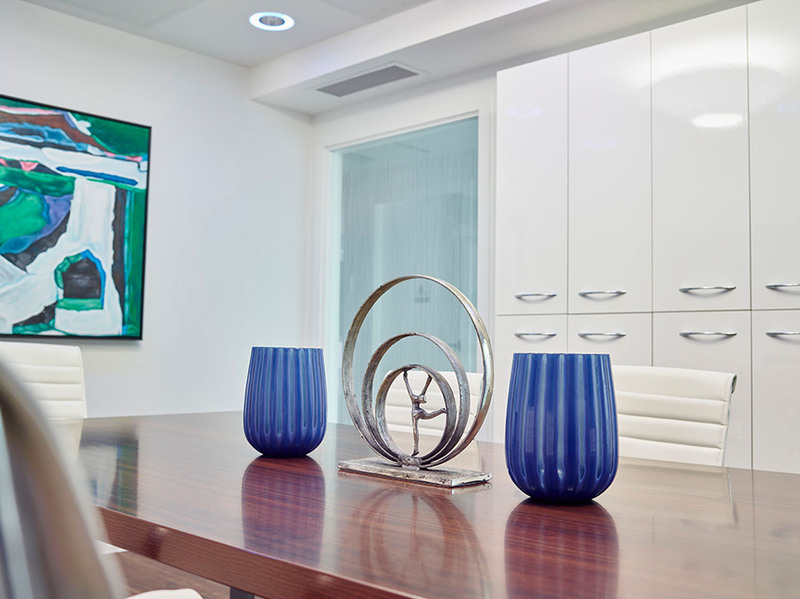 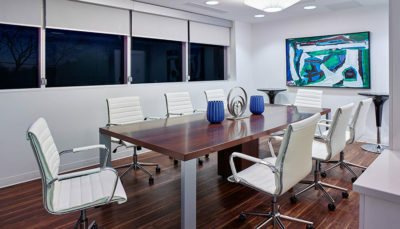 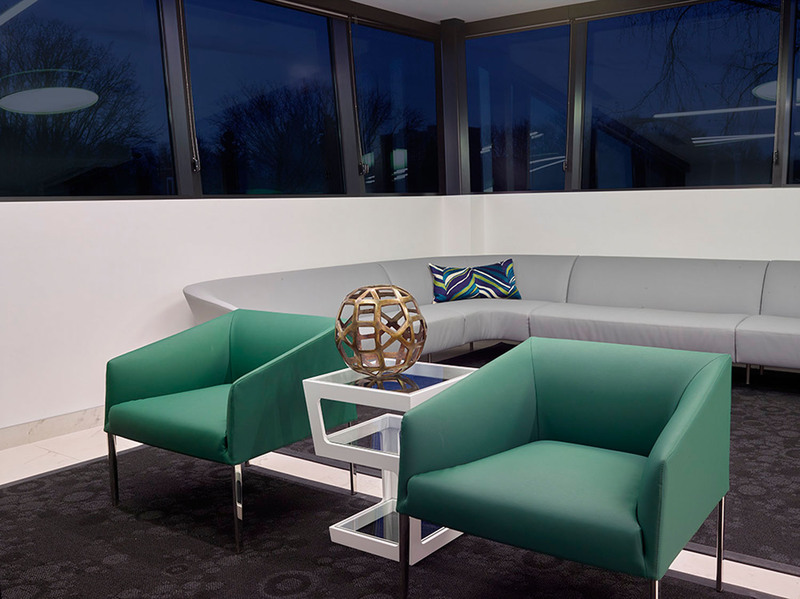 With two optimally placed monitors, this space doubles as a presentation room for conferences. 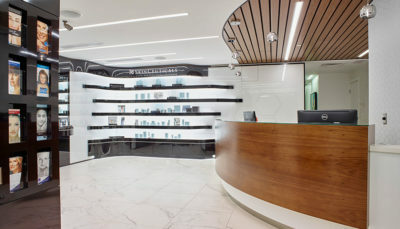 A custom skincare product display, designed in collaboration with SkinCeuticals, fosters sales opportunities. 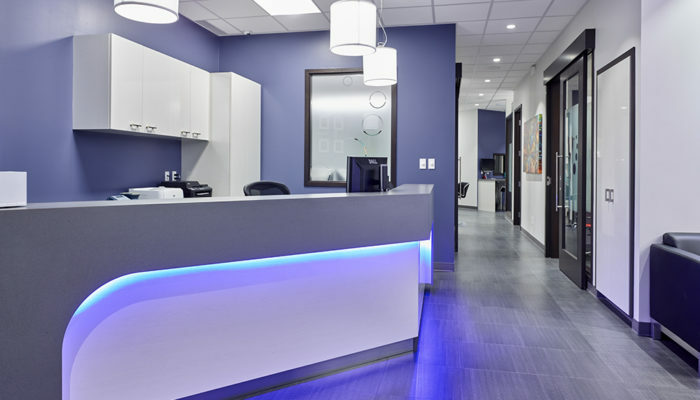 This office is also spacious enough to house three dermatologist offices, three cosmetic/laser treatment rooms and two surgical suites. 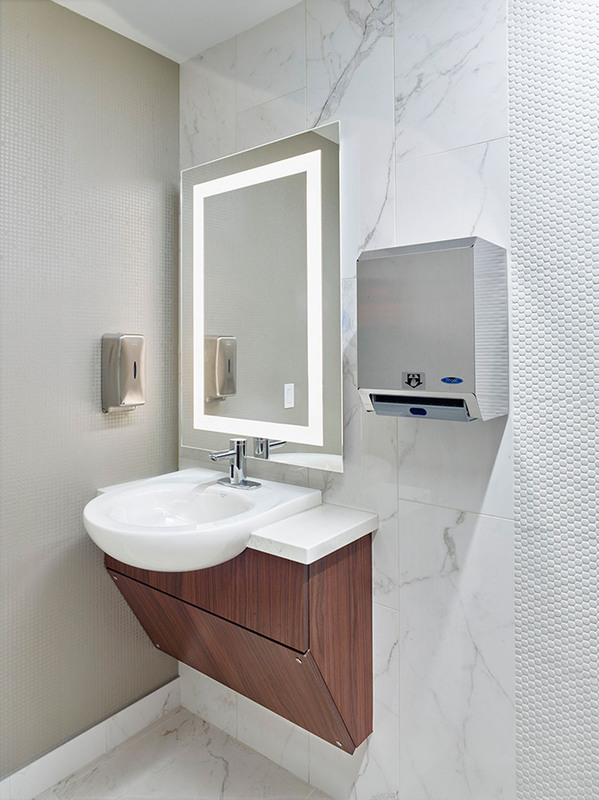 Stylish and clean accessories lend a mid-century modern meets contemporary vibe.